—you weren’t born with it, so it’s normal that you’ll need to adapt to living with it. Personally, I’ve been living with a PICC line for a year. Now, I don’t even notice it’s there; it just feels like an extension of my body! 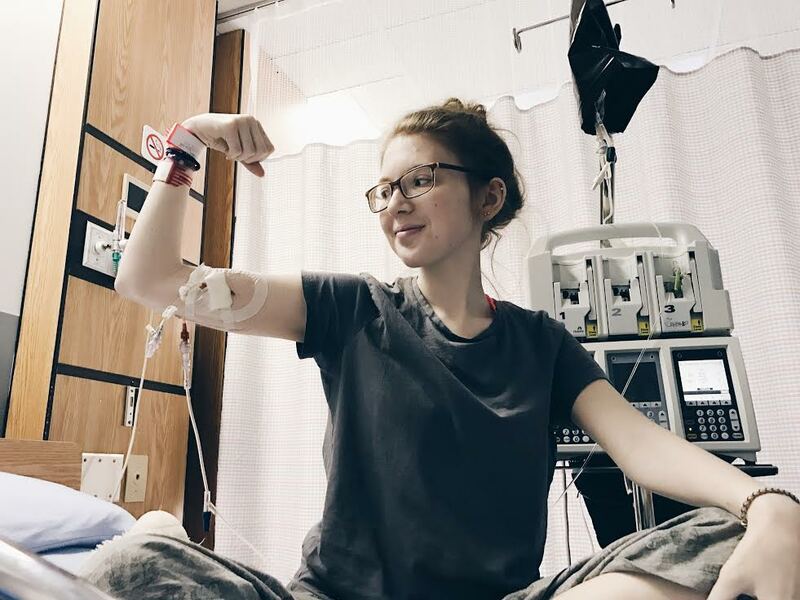 At first, I was concerned, as I thought the PICC line would limit or restrict me from living a normal life, but I quickly realized that it’s still possible to live an amazing life with a PICC line! 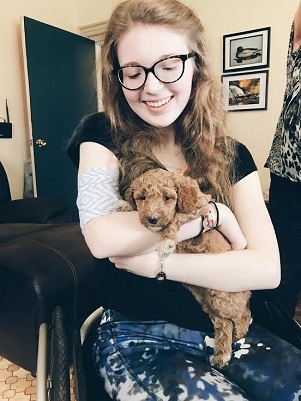 There are inevitably some changes in your life that you’ll need to make because of your PICC line; however, through my experience, I’ve discovered several ways to make life with a PICC line just a little easier. 1. DITCH THE PICC SLEEVE THE HOSPITAL GIVES YOU. When you get your PICC line placed, you will receive a white mesh sleeve that you can put over your PICC line for protection. At first, it isn’t too bad, but it can get itchy and may stretch out very quickly. One of the best things you can do for your comfort is to purchase a PICC line sleeve, like Mighty Well’s PICCPerfect cover! I especially like their covers since they have holes to put your lumen(s) through, and the sleeve folds up over them to keep them well in place. Not only will a fabric sleeve be more comfortable, but you can also get all different colors and patterns to match any outfit! They are also more discreet and look less clinical than the sleeves given by the hospital. 2. TEST OUT DIFFERENT PICC LINE DRESSINGS. A lot of people, like myself, have issues with adhesive allergies, so if the first dressing you have causes a rash or skin irritation, don’t fret! There are lots of different see-through dressings to try. From Tegaderm to IV 3000 and beyond, your PICC care nurse or doctor, who placed the line, should be able to help you find a solution. If you can’t tolerate any adhesive, they can do something called a dry dressing. Don’t worry if you have issues at first with your line; the healthcare world is huge, and there are lots of options out there! 3. USE A HANDHELD SHOWERHEAD. If you shower or bathe using a removable showerhead, it makes it easier to direct where the water is spraying, and, in turn, keeps your PICC line dry! Use your arm with the PICC line in it to hold the showerhead, as it’s less likely to spray your arm accidentally. It’s very important to keep your line and dressing dry because bacteria thrive in moist environments; it’s important to prevent infection as much as possible. However, I don’t recommend using a removable showerhead as your sole preventative measure. Combine it with a PICC line shower sleeve of some sort, which I’ll discuss in the next tip! 4. SKIP THE SARAN WRAP, AND GET A WATER PROOF PICC LINE SLEEVE. Some people wrap their line in Saran Wrap and stick it to their skin with waterproof tape, but this isn’t always reliable. Water can leak in and sometimes, due to line placement, you may need to wrap over your elbow too, which makes it hard to bend your arm to wash yourself. Other people use similar techniques like garbage bags and tape, but it still presents the same issues. I find using a waterproof PICC line cover the easiest. There are several types to buy online. I personally use one I bought at a local drugstore. Mine looks like a blue elastic rectangle bag with holes cut on each end for your arm to pass through. It suctions tightly to the top and bottom of your arm to help you shower more easily and without the worry of leakage! 5. WHEN IN DOUBT, ASK YOUR TEAM! 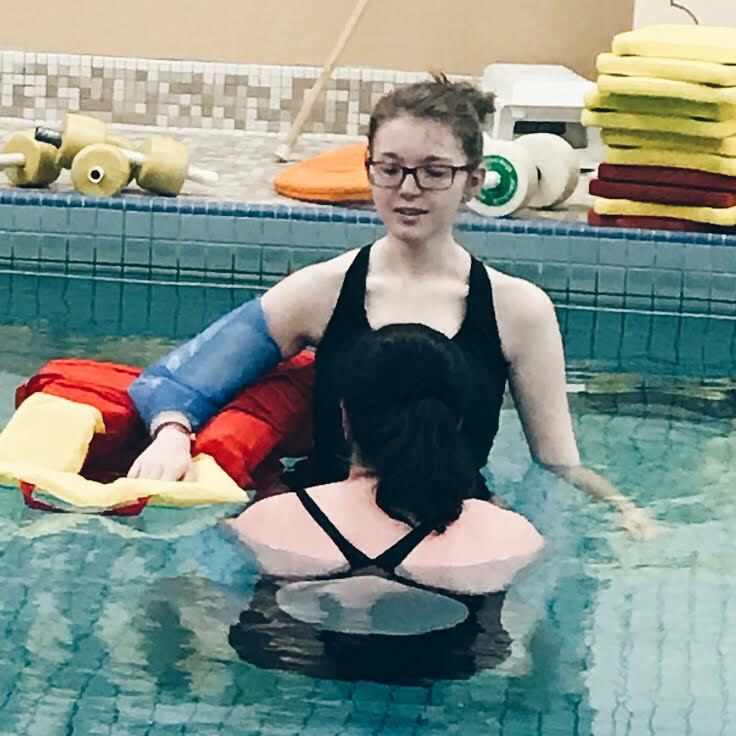 If you’re not sure about whether or not you need to clean your end cap when handling your PICC line, if your insertion site skin is abnormally red and you’re worried it’s infected, if your PICC line is causing pain and you’re concerned, or if you have any concerns or questions at all, contact your team! With a central line, it’s better to be safe than sorry, so don’t wait it out; instead, contact your doctor as soon as possible. Voicing any questions or concerns will help you maintain a healthy PICC line. 6. PRACTICE GRATITUDE WHEN DISCOURAGED. It’s totally normal to get discouraged sometimes when living with a chronic illness. When you’re feeling low about your PICC line, remind yourself of all the good it has brought to your life or will bring in the future. Ask yourself, has it helped you feel better through administering medication? Has it helped you beat an infection? Has it helped you prevent dehydration by giving you fluids? It may feel silly at first to list reasons why you’re grateful for your central line, but over time, it’ll help change your pattern of thinking, so you’ll feel better about it. Remember to always focus on the positive! 7. DON’T LET YOUR PICC LINE STOP YOU FROM LIVING THE LIFE YOU WANT TO LIVE! Unless something you want to do is constrained with a PICC line and you’re told not to do it by your medical team, you can still do almost anything with your PICC line that you could do without it! You can still travel, go out with friends, go to school, exercise, and almost anything you want! Don’t be afraid to dream big. There have been people who’ve hiked mountains, traveled the world, started businesses, had families, and accomplished their dreams while having PICC lines. Never give up. 8. INFUSE ON THE GO. Being attached to your IV pole for long amounts of time can make you feel trapped and restricted. Just because you’re infusing, doesn’t mean you need to be tied down to a pole! Get yourself a nice backpack for your pump and IV solution. You can easily sew a carabiner into the top of any type of book bag you’d like with a needle and thread. That way, you can clip it on and hang your bag like you would on an IV pole! Many people find that hydration backpacks are well-designed for infusions. My personal favorites are Vera Bradley backpacks because they’re the perfect size and come in lots of nice patterns! 9. GET AN EXTENSION FOR YOUR PICC LINE SO YOU CAN REACH YOUR LINE CAP AND HOOK UP INFUSIONS ON YOUR OWN. If you’re yearning for as much independence as possible, it can be hard to hook up your line yourself, depending on the PICC line placement. To make it easier, your line care nurse, or whoever does your dressing changes, can add an extension onto your PICC line to make it longer. They come in all different lengths, so you can find one that’s perfect for your needs. When you’re not using it, you can tuck the extra tubing into your PICCPerfect cover. It may add a little extra bulk, but you won’t even notice it tucked away in your sleeve! Typically, extensions only need to be changed when it’s time for a new cap, so your nurse can do it all in one visit! 10. FIND WHAT’S COMFORTABLE FOR YOU. Lastly, everyone has different preferences on how they protect their PICC line and set up their IV line for infusions. I personally prefer running my IV line under my shirt rather than having it hanging from my arm. Before you hook up your line, run it up through the bottom of your shirt, so it is coming out of the sleeve where your PICC line is located and then hook it up. Be careful not to knock off the cap of the IV line, while bringing it through your shirt. Tug your line very gently at the bottom of your shirt, so there’s no slack hanging down from your arm; this prevents it from getting caught on things! But, some people prefer connecting their IV line directly to their PICC line, so it’s hanging from their arm. Play around, and find what’s best for you!